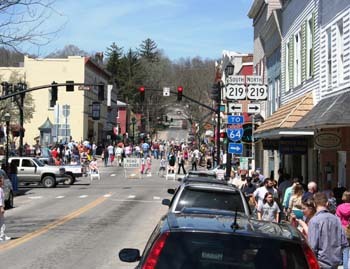 Lewisburg just completed their 3rd Annual Chocolate Festival and what a Sweet Day it was! 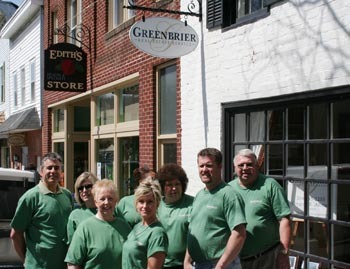 Greenbrier Real Estate Service just moved into our new location at 118 E. Washington Street just in time to participate in all of the festivities. Even though we did not have a chocolate tasting we donated 350 bottles of our Greenbrier Real Estate Logo bottled water from Sweet Springs, WV for the Water Stations to sell and raise money for Hospice. The chocolate tasting tickets sold out quickly but, there was plenty of chocolate to go around! 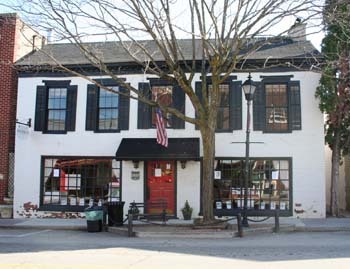 We loved the Chocolate Espresso Brownies with Chocolate drizzled on top from across the street at the Wild Bean. Everyone loved the Chocolate Shoe suckers from Yarid’s shoe store made by Holl’s Chocolate in West Virginia. 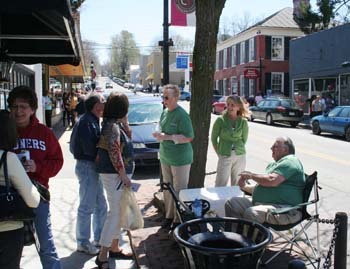 The selection of chocolate tastings from the Lewisburg Merchants was very impressive from Chocolate covered strawberries to Chocolate truffles, Chocolate martinis to Chocolate S’mores by the campfire! All of the local restaurants: Stardust Café, Tavern 1785 and Food & Friends featured a special chocolate dessert on their menu Saturday Night. We caught –up with Martin Staunton from Fox 59 News while he judged the Chocolate Bake-off at the Lewis Theater. 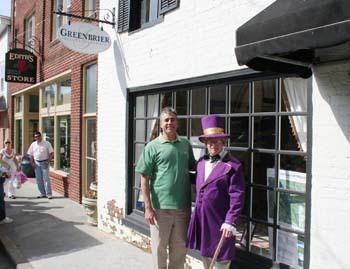 We also ran into our Mayor of Lewisburg dressed in purple as Willy Wonka, promoting the free movie for Saturday night at the Lewis Theater “Willy Wonka & The Chocolate Factory”. Kathy Mundell, Debbie Vass and Bob Baker work one of the water stations. 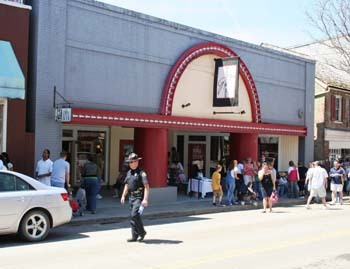 Across the street from Greenbrier Real Estate Service is Greenbrier Valley Theater.